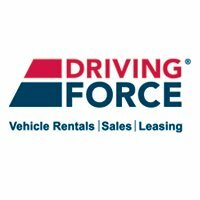 In short, DRIVING FORCE has always made the customer the focus – making it easy for them to come back again and again for their van, pickup, SUV, minivan and car needs, and to recommend us to their friends and family. We serve a wide range of customers including small business, large corporate clients, business professionals and individuals. Commercial customers are happy to have our industry professionals ensuring that their vehicle orders include everything they'll need for off-road applications, mine site work or other situation requiring specific equipment. They know that their trucks will be fitted with the buggy whips, first aid kits, fire extinguishers, industrial-rated tires or anything else they'll need to be fully compliant on the job site. Our years of experience helps us meet customer needs quickly, easily, and specifically. Let us be YOUR transportation solution.